HOYLAKE, England — Young Bubba could learn a lot from Old Tom. In 1975, Tom Watson arrived in Scotland to play his first Open Championship. Never having played links golf, Watson teed it up at Monifieth, not far from the Open venue of Carnoustie. He drove it down the middle on the first hole — his first ever hole of links golf — and couldn’t find his ball. It was eventually located 50 yards offline in a small pot bunker, deposited there by the combination of erratic bounces and ancient contours that are the essence of this type of golf. “Boy was I mad,” Watson said later. He didn’t care for the vagaries of golf’s most celebrated form, preferring instead the ‘through the air’ game he learned in Kansas. By his own admission, it wasn’t until 1981 that he learned to love the links, by which time he had already won three Open titles, including that ’75 debut in Carnoustie. Even if he hadn’t learned to love it, he had learned to accept stoically the bad results that often accompany good shots over here. That perspective was needed five years ago, when his perfectly struck 8-iron into the final green at Turnberry took a hard bounce and ultimately cost him what would have been a record sixth Claret Jug at the age of 59. At the age of 35, Bubba Watson seems far removed from Tom Watson’s level of perspective, maturity and professionalism. His performance at Royal Liverpool has been a master class in crass. Bubba bogeyed with the locals before he even teed off, admitting that he didn’t know the name of a single member of the Beatles. In the Beatles’ hometown. That can be dismissed as Bubba being Bubba. It’s not as though the public expects more from a man whose chief claim to cultural literacy is owning the General Lee car from “The Dukes of Hazzard,” though the fact that Beatles knowledge requires only turning on a radio and not cracking a book must have offered hope to his more musically savvy supporters. On the course, he did little to redeem himself on Thursday, scowling, grimacing and snarling his way through the opening round of the oldest major. After two early birdies put him on the first page of the leaderboard, Bubba — real name Gerry — lost the plot, playing holes 9 through 13 in 6-over-par and finishing with a 76. He took a brief break from the bogey train to moan loudly about the fans that paid a minimum of $130 to be here watching him play for a first prize of $1.66 million. “There’s a thousand people in this fairway,” he snapped at one point. “I just want to play golf. A thousand people are in this fairway!” Otherwise, he looked about as cheerful as man on his way to the dentist chair during a novocaine shortage. Majors are not played in a vacuum where Bubba can be left alone with his homemade swing and agitated mind. Except at the Masters, an eerie cathedral of quiet where fans are forever in fear of having their grounds pass revoked should they be found guilty of conduct unbecoming a patron. Amid that whispering chorus, Bubba can sing from his own hymn sheet without fear of interruption. He has won there twice. Outside of Augusta, he has just two other career top 10 finishes in majors. 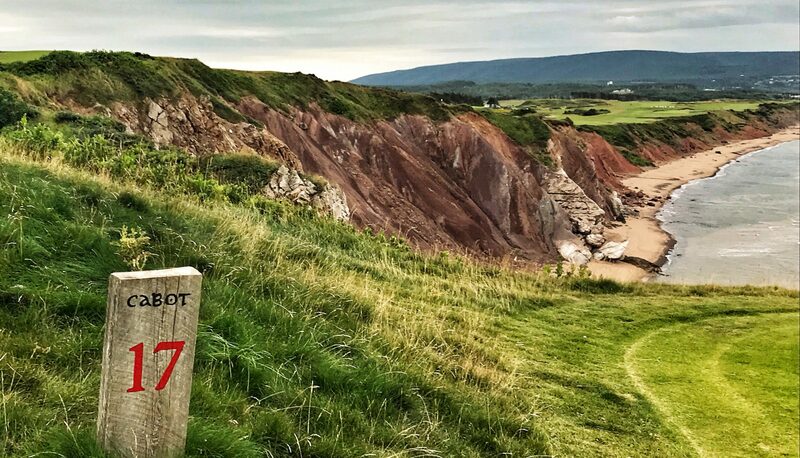 Links courses are an inviting blank canvas for imaginative golfers. His game should travel well here. His hair-trigger attitude does not. Old Tom played this morning, and he was followed for 18 holes with polite ripples of applause. The obvious affection in which he is held will be a major storyline at next year’s Open Championship in St. Andrews, when Watson bids farewell to an event in which he has performed better than any American in the history of the game. But that affection is not borne solely on his five wins. Open spectators are a sophisticated lot. They applaud when a ball comes to rest 30 feet from the hole, knowing that 30 feet is often a fine shot on a firm links course. They appreciate golfers who appreciate the game, where magic one day is often replaced by misery the next. But class can be consistent. Tom Watson has shown that since taking his first shot to the gut in Monifieth almost 40 years ago. In Thursday’s first round he shot 73. But his score wasn’t the only way in which he bettered his younger namesake.